SIMI VALLEY, Calif. (KABC) -- A man was arrested after authorities said he attempted to kidnap a teenage girl after she got off a bus in Simi Valley. Simi Valley police said a 13-year-old girl was exiting a city bus near Stearns and Cochran streets at about 4 p.m. on Monday when she was approached by 44-year-old Elmer Montenegro. Officials said Montenegro grabbed the teen and tried to force her to come with him. Montenegro let the girl go and fled the area after a concerned citizen honked their car horn at him, according to police. 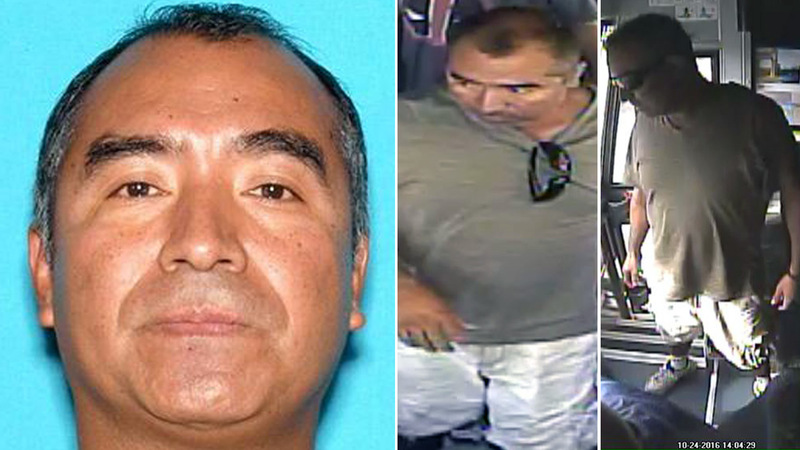 Investigators released photos of Montenegro taken from a bus they said he boarded in the Thousand Oaks area earlier that day. After receiving tips from the public, police said Montenegro was arrested and booked for kidnapping, lewd act upon a child and false imprisonment.